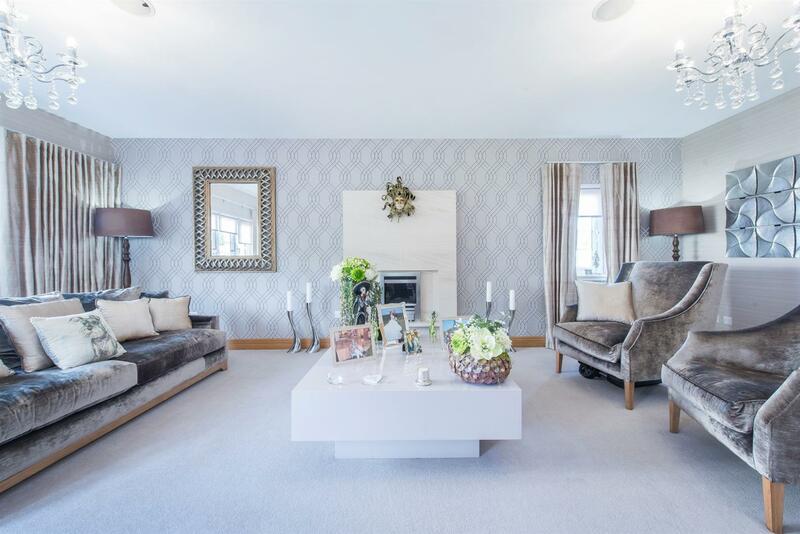 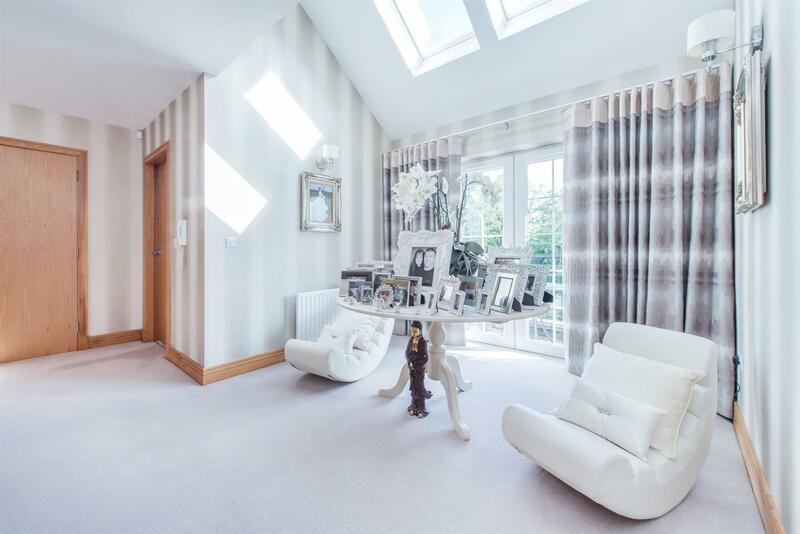 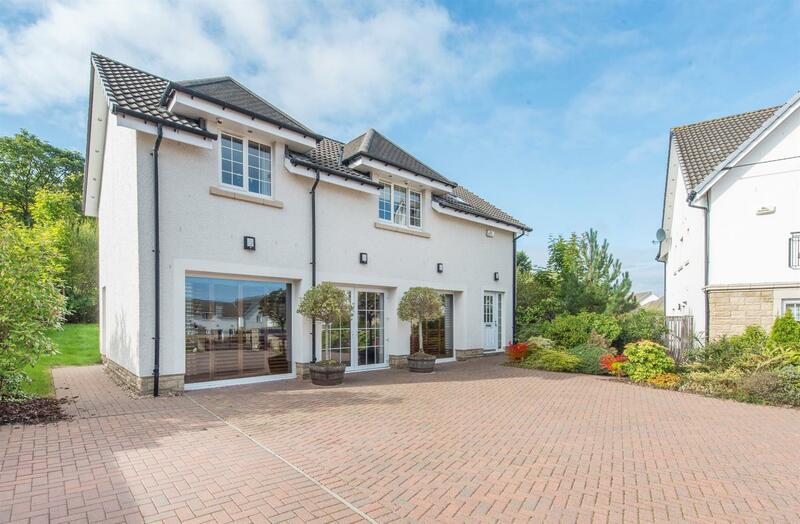 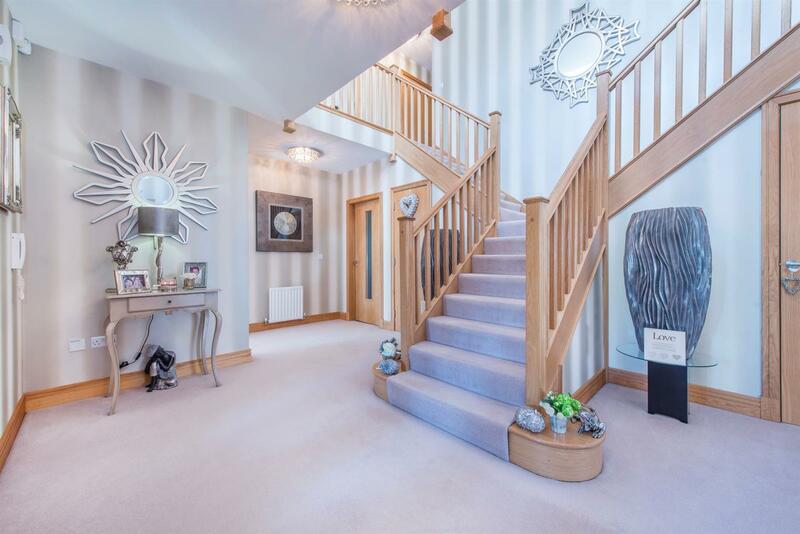 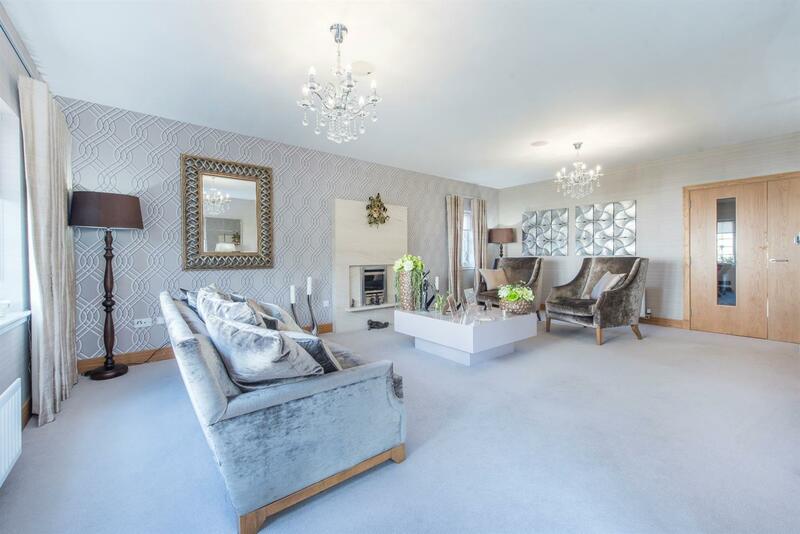 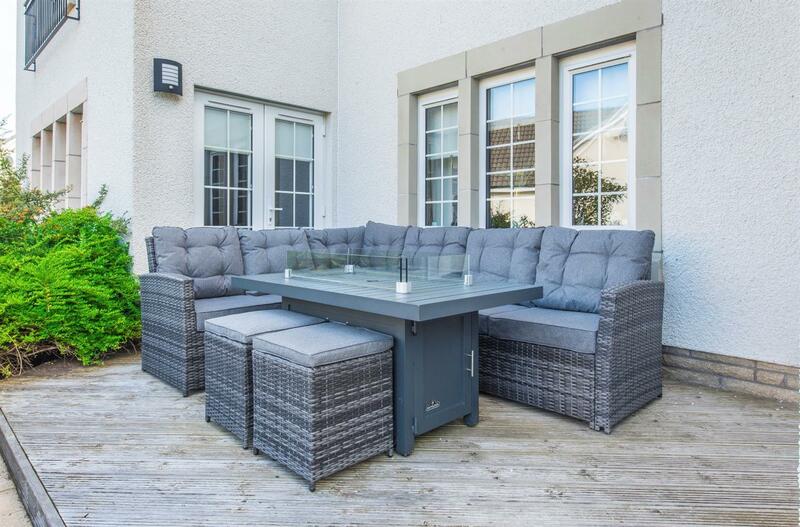 Balmoral House is an exceptionally well finished luxury home which is set within the exclusive suburb of Thorntonhall on Glasgow's South Side. 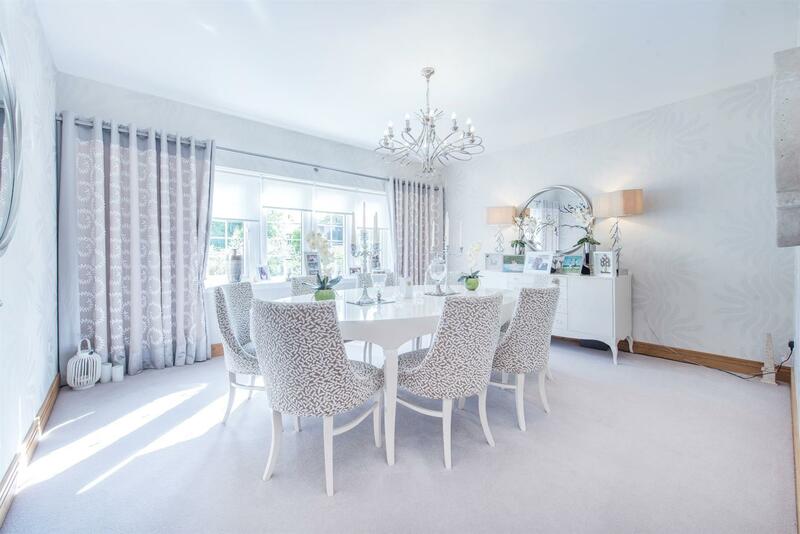 The property is one of Cala's 'signature' executive homes which sits amidst large, enclosed and private landscaped gardens accessible via electric gates. 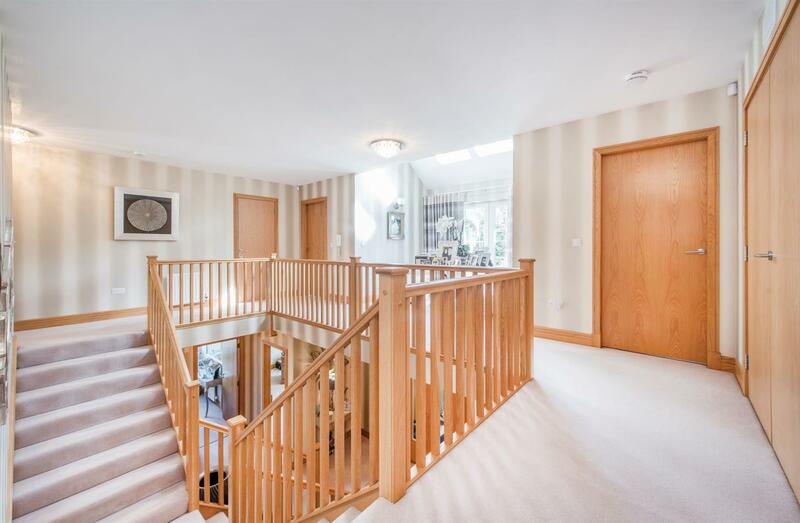 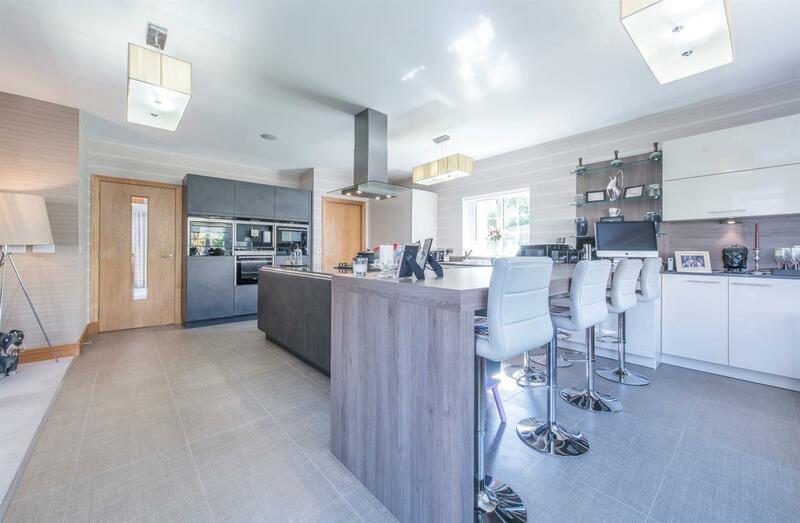 No expense has been spared in the finishings of this lovely sized home which has been further enhanced by the alteration of the former garage, creating a large entertainment and cinema room. 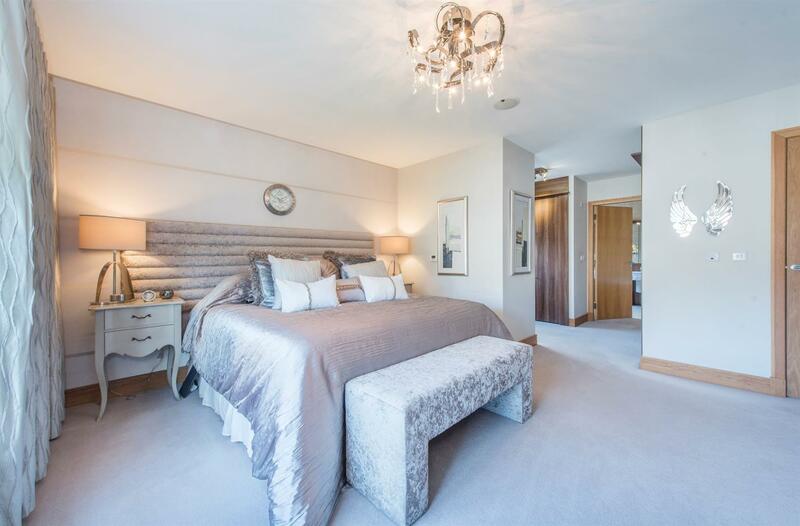 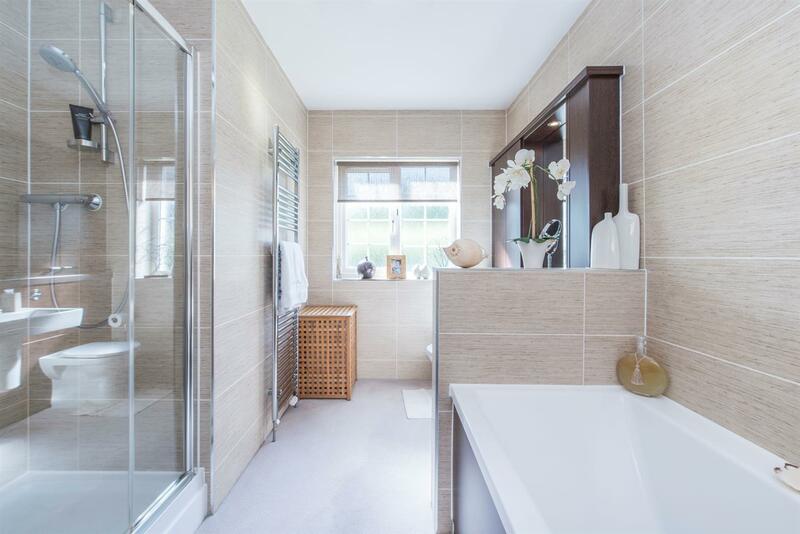 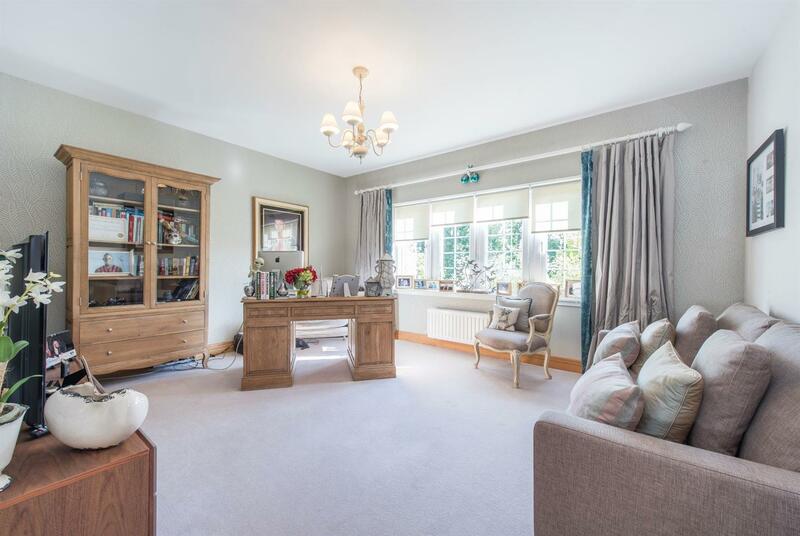 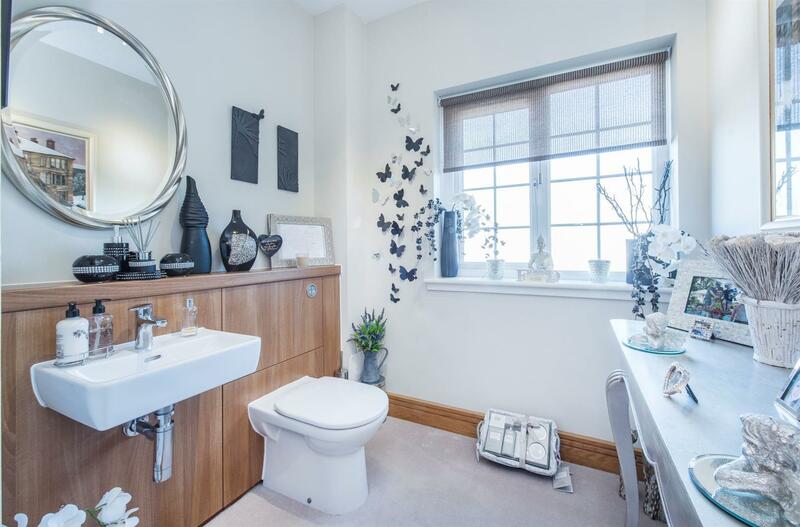 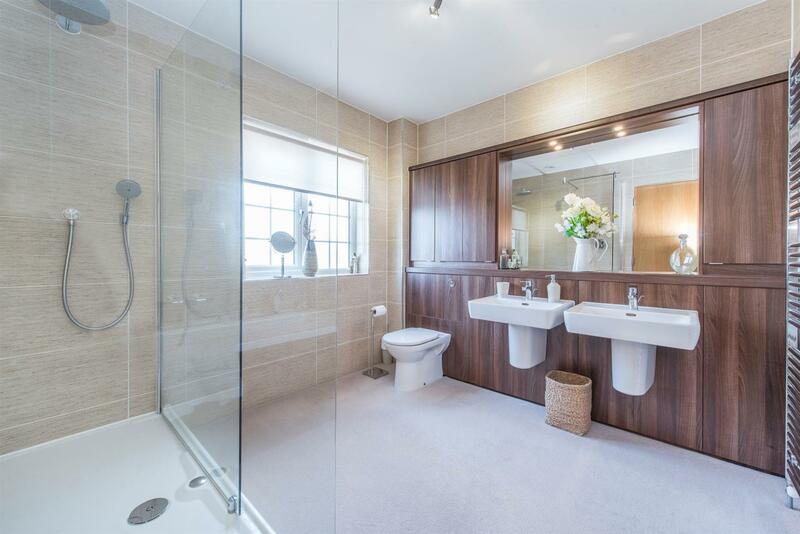 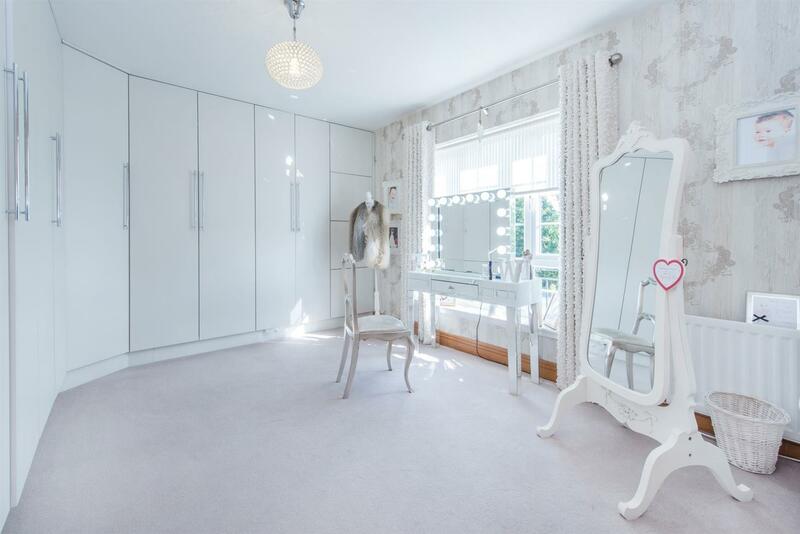 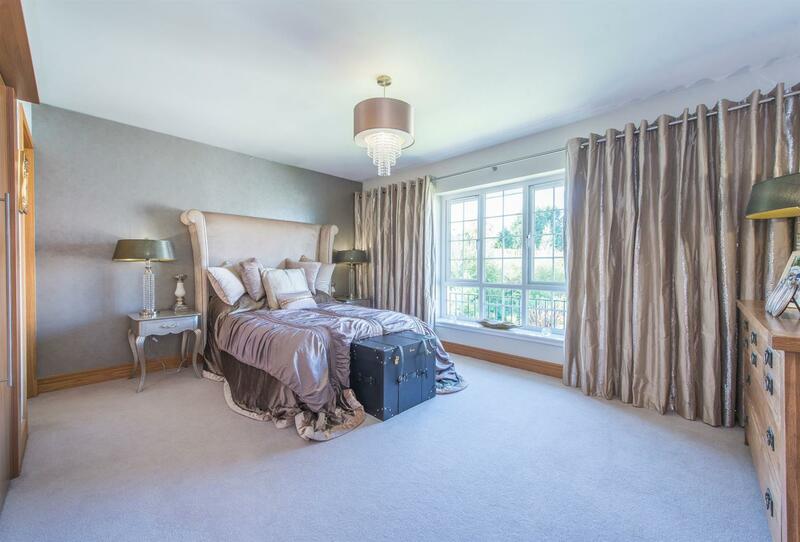 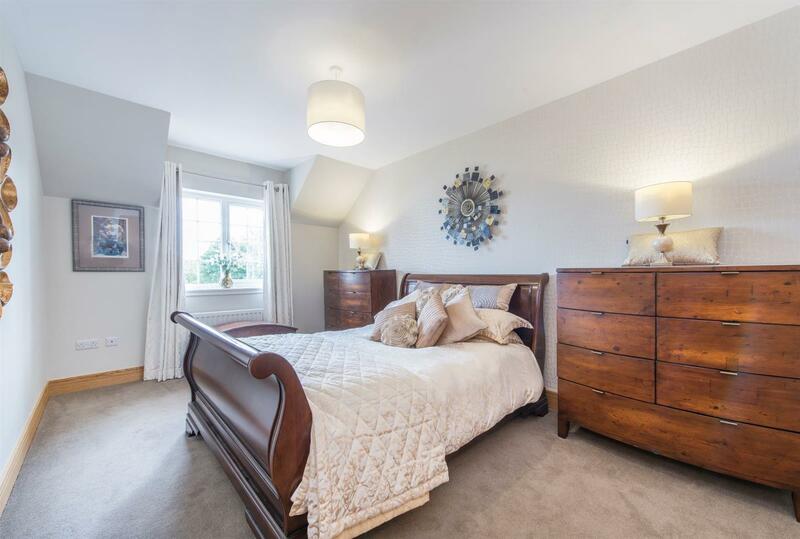 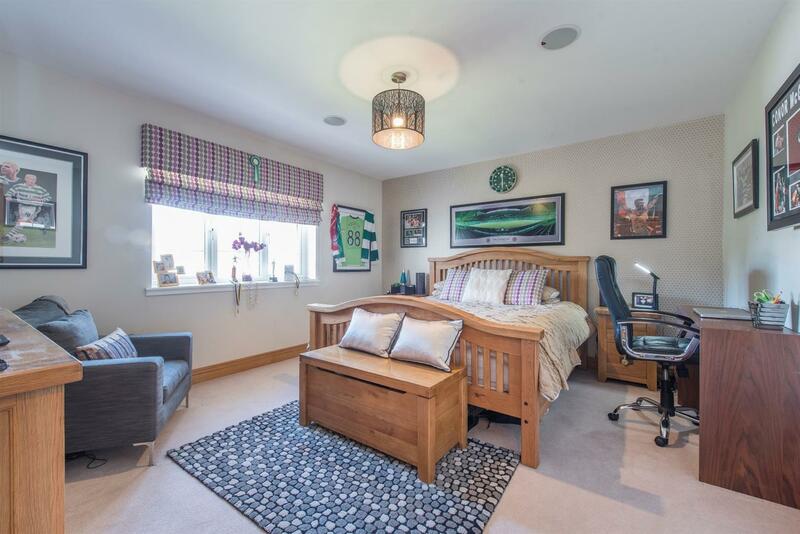 The rooms are bright, airy and beautifully decorated whilst featuring oak skirtings and doors, luxury carpeting, tiling and Karndean flooring, designer fitted bathrooms and a high end kitchen which incorporates a full range of integrated appliances. 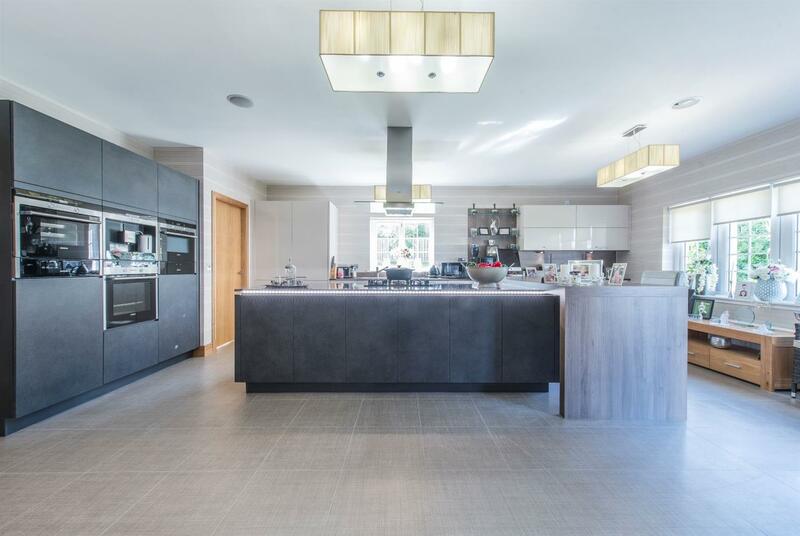 A Sonos system is fitted within the house whilst a number of energy saving and environmentally friendly features have been added. 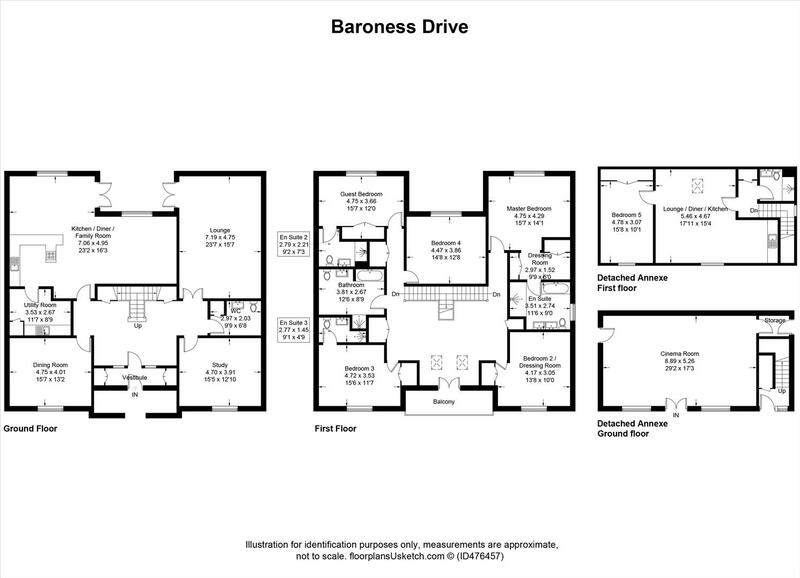 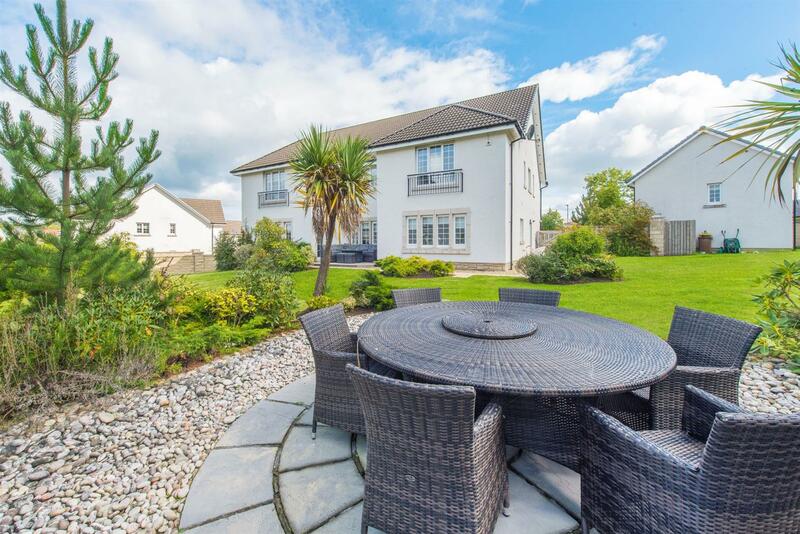 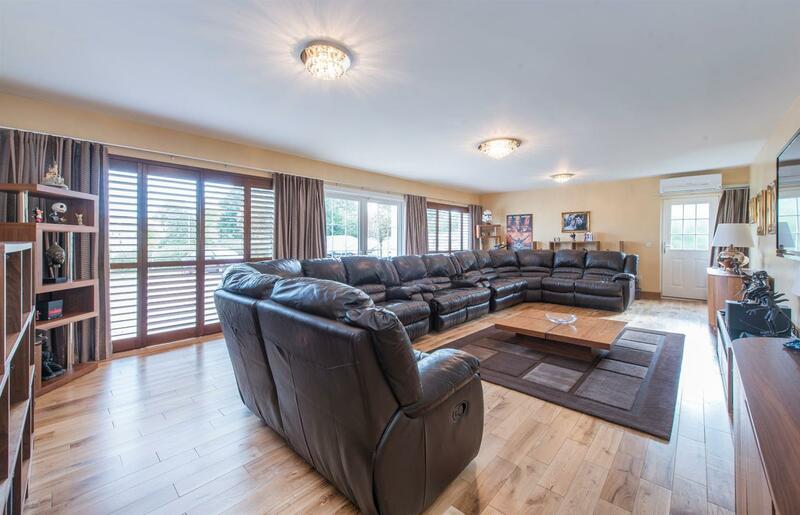 The generous sized public rooms and versatile layout of this home creates excellent entertainment space and comprises impressive galleried entrance hall, a cloakroom wc, formal lounge, dining room, study, a large open plan family room with dining area and the luxury kitchen and a separate utility room. 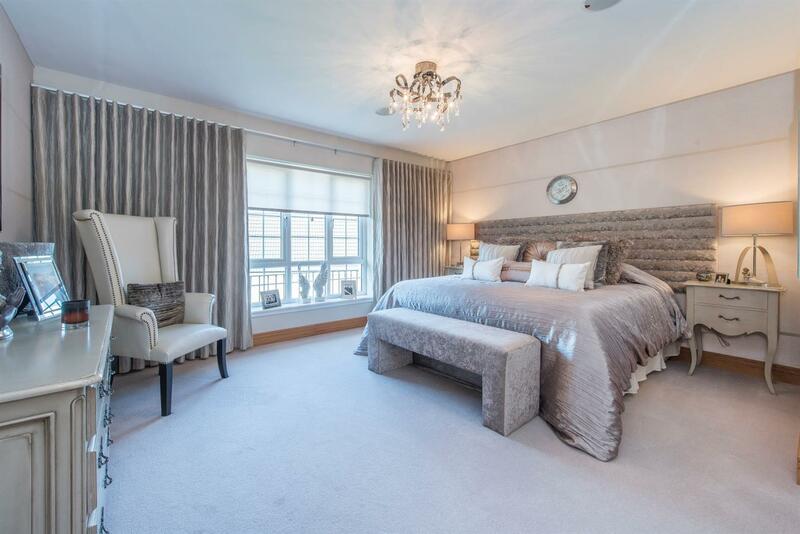 The upper floor has an stunning landing with balcony, master bedroom suite with dressing room and large en-suite, four additional bedrooms (2 x en-suites), and a family bathroom. 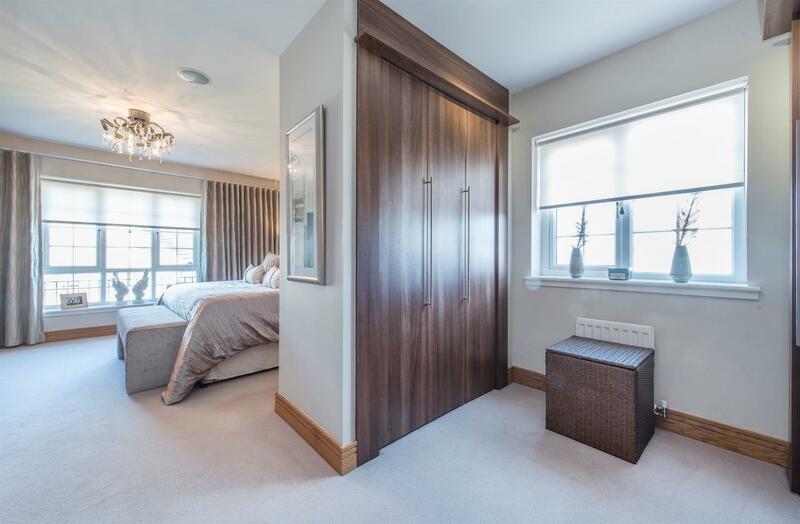 Bedroom 5 has been designed and fitted as a large dressing room whilst the is an abundance of built in storage and further attic space. 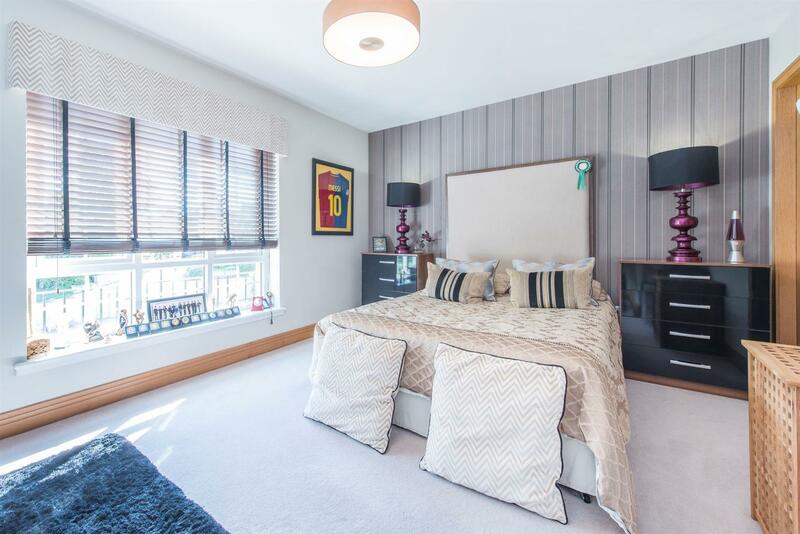 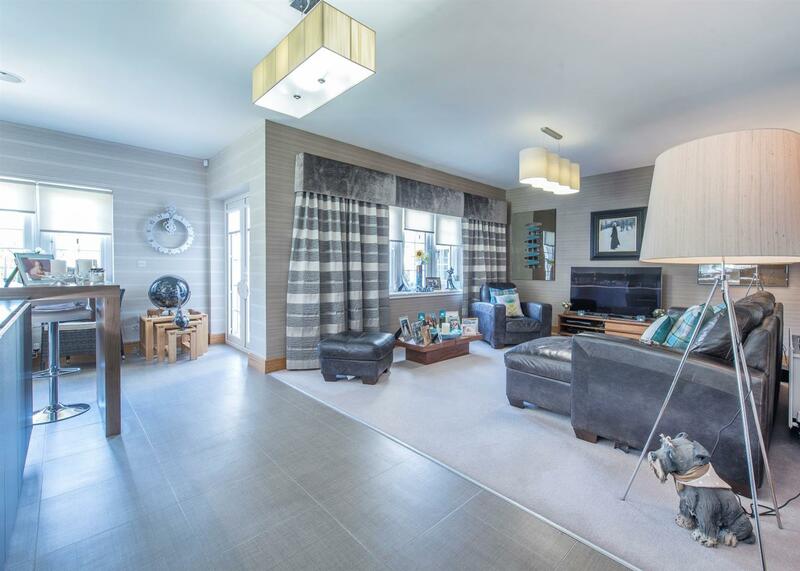 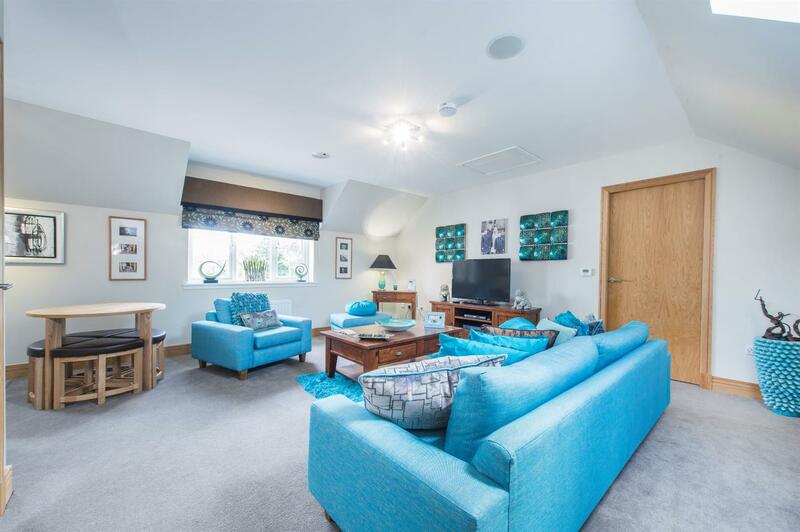 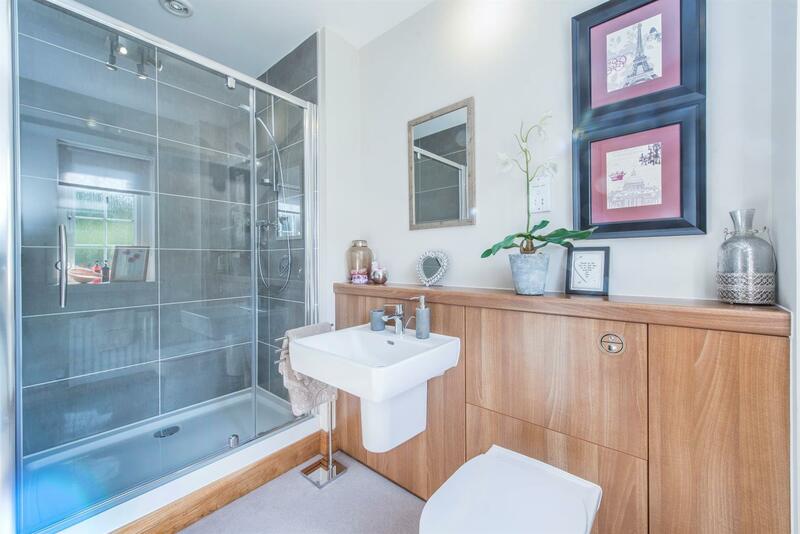 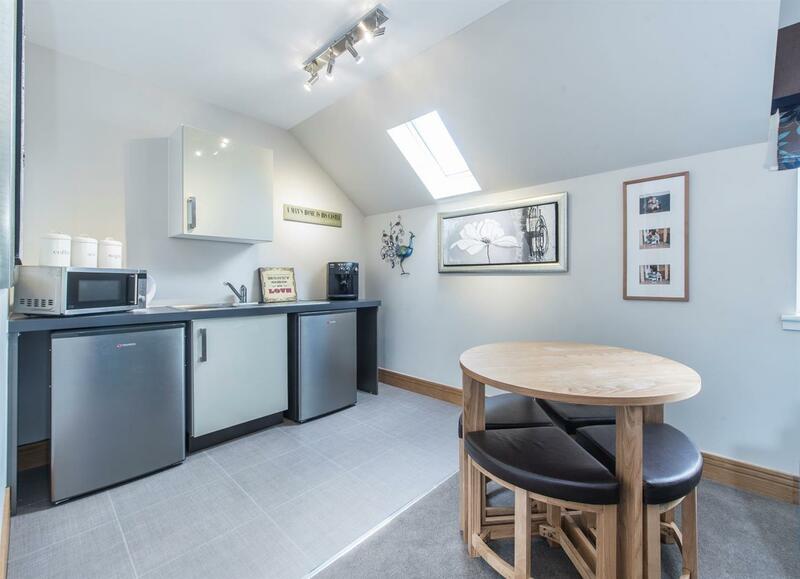 The former garage creates a wonderful self contained living area with a cinema room whilst the upper floor apartment flat has a lounge, kitchen, a shower room and a double bedroom. 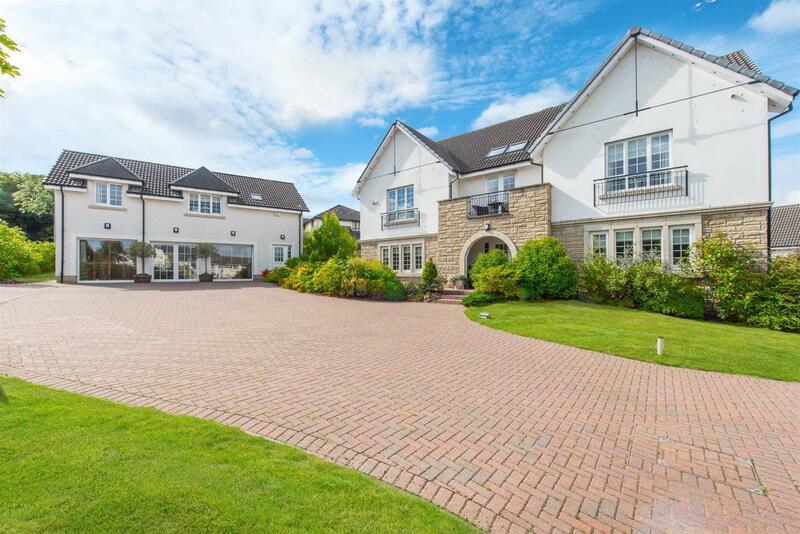 Beyond the gated entrance is a large monoblocked driveway for several cars, established lawns and well stocked bedding areas with shrubs and external ambient lighting. 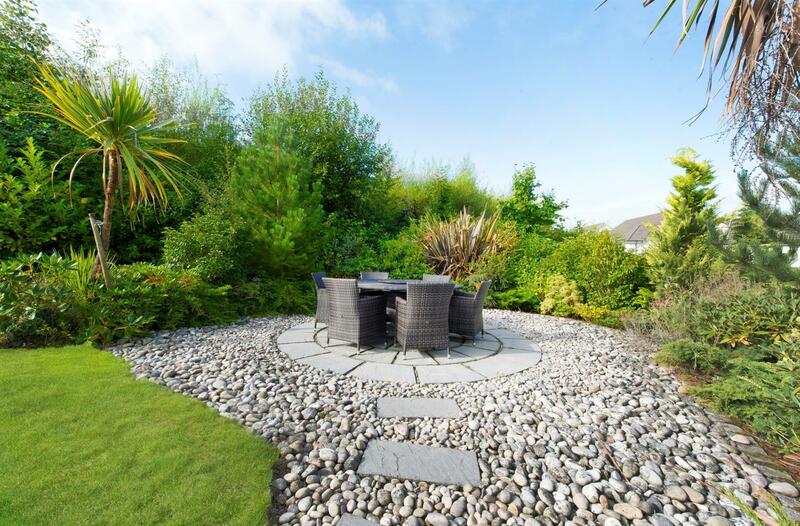 The professionally landscaped rear garden has several patios, lawns and a variety of trees and shrubs.